A group of Mass Effect modders are working on a project that will entirely overhaul the finale of the original trilogy. Priority: Earth – Overhaul Mod aims to fix not just the existence of the game’s controversial Catalyst, but the entirety of the climactic London mission. Fair warning, this article contains spoilers for Mass Effect 3. I spoke with one of the mod’s creators, who goes by Orikon on Reddit and YouTube, about the motivation behind the project. They said that “like most people, I had issues with ME3’s ending. But when I say ‘ending’, I don’t mean just the Catalyst. It’s the final mission too.” That mission takes players to London, UK, but it’s an experience that let many fans of the series down. “In terms of mission design, it’s even worse. The whole mission lacks any sense of excitement, urgency or closure. The two action scenes that do exist, are wasted due to a lack of music or ambient effects. Visual design is equally as bad. Due to console restrictions, Bioware had to chop London into a bunch of small parts, and load them separately as the player is moving through the city […] which resulted in the city feeling like several small, unrelated areas, connected together only through loading screens. Orikon states that London is so disappointing that it retroactively impacts the entire trilogy. “When you start ME1, you know that London is going to be exactly the same” no matter what choices you make throughout all three games. That feeling of “boredom and confusion” led Orikon to join forces with another Mass Effect modder – Kinkojiro, the creator of the Expanded Galaxy Mod, before they eventually began solo work on the mod in September 2017. 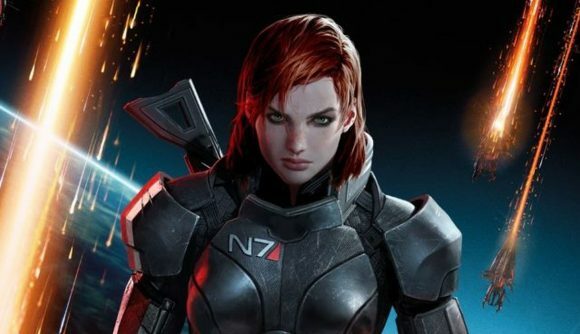 The mod now aims “to improve upon Mass Effect 3’s final mission as much as technically possible.” Fixes range from tackling bugs and restoring cut content all the way up to recording brand-new dialogue and building new cutscenes into the level. You can check out a trailer for the mod in the video above. Sadly, Priority Earth – Overhaul mod is currently not available for download. It’s been taken down due to a disagreement over music rights, and Orikon says he’s waiting for approval from Take-Two and EA before the mod can be reinstated to Nexusmods. Hopefully that won’t take too long, however, and once it’s back up, you’ll be able to download a beta version of the mod.